Sodium is essential to human health. The mineral helps to regulate fluids, maintain nerve transmissions and stimulate muscle contractions. But like anything else, it’s only good in moderation. According to the American Heart Association, about 75 percent of the sodium we consume comes not from the salt shaker, but rather in processed and restaurant food (1). Pay close attention to the following signs. These will let you know when it’s time to cut back on the salt. Excess sodium makes you thirsty because your body wants to keep the same salinity levels at all times. As our salt intake increases, our bodies pull the water out of our cells into the bloodstream in order to re-establish its ideal salt levels. As a result, cells become dehydrated and communicate with the brain to trigger thirst. Bloating happens when you regularly consume too much sodium and your body starts to store fluid to help it flush out excess salt. You can reduce bloating by doing more exercise (to stimulate sweat) and drink more water. A 2011 Australian study (2) found that the brain responds to sodium similar to how it does for substances such as heroin, cocaine, and nicotine. 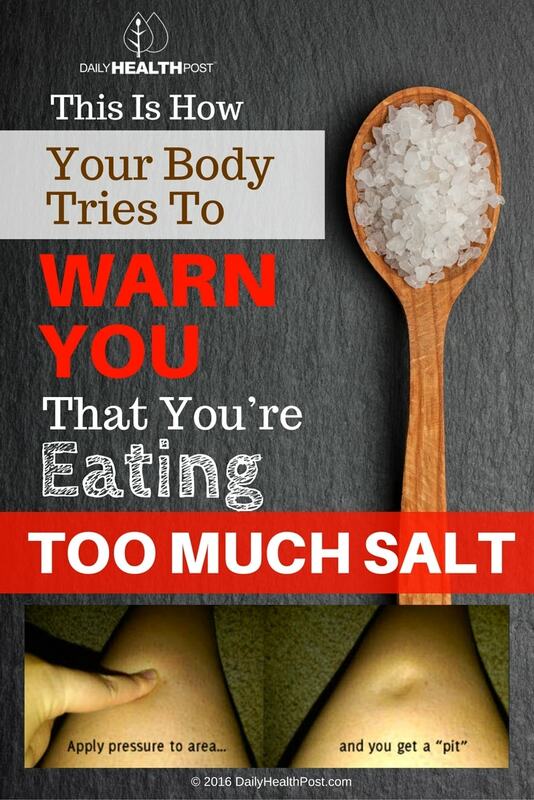 Sodium is a double-edge sword: salt is essential for your nervous system but can quickly become an addiction. If you find that you often crave salt, you may already be consuming too much in you diet. The extra water that your body stores through edema and bloating raises your blood pressure and puts strain on your kidneys, arteries, heart and brain. 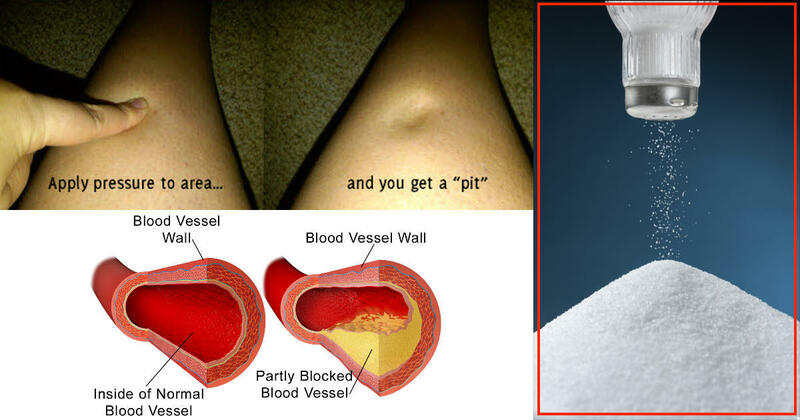 To cope with the extra strain, the tiny muscles in the artery walls become stronger and thicker (3). Yet this only makes the space inside the arteries smaller and raises your blood pressure even higher. Over time, this can leave your more vulnerable to stoke and heart failure.